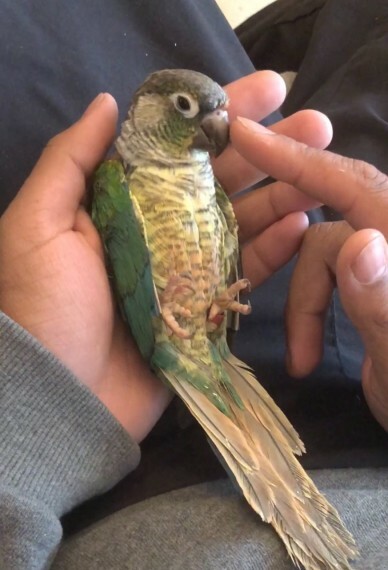 I have a blue male green cheek for sale. Has been DNA..d with paperwork. It is close rung 2018 bird with hatch certificate. Comes with lab reference and all other relevant paperwork. He has been hand reared and is silly tamed. he steps up. let..s you tickle him and goes upside down. I have more pics and videos which you..re welcome to see. Any questions please ask.